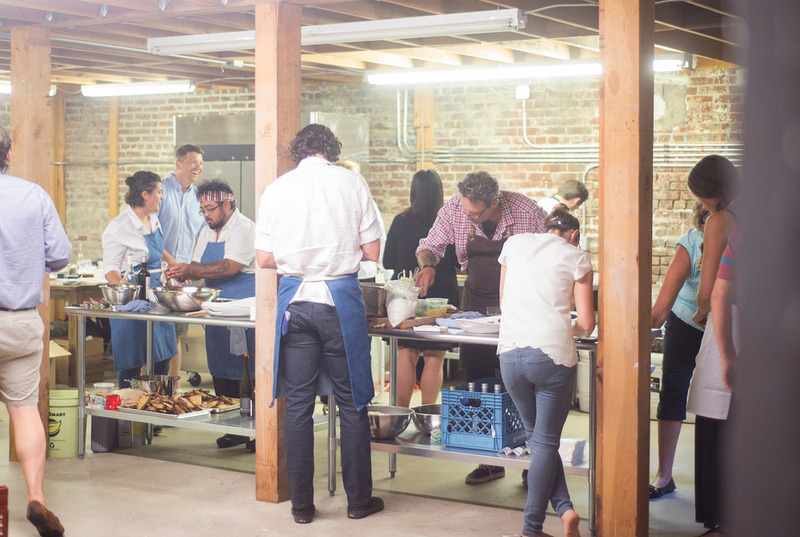 Jacobsen Salt opened their Portland headquarters and kicked it off with an incredible dinner, in collaboration with Williams Sonoma Open Kitchen. It featured Matthew Accarrino, one of this year’s Food & Wine Best New Chefs from SPQR, a two time Michelin star restaurant in San Francisco, James Beard Finalist Renee Erickson of the The Walrus and the Carpenter, Whale Wins, Barnacle, and the lauded Boat Street Café in Seattle, and James Beard Scholar Jason French of Ned Ludd in Portland. The delicious 5 course meal was paired with wine from Division Winemaking Company and beer from Breakside Brewery. Flowers by Fieldwork Flowers.